the age of 72, began to create botanically accurate ‘paper mosaicks’ in hand-coloured tissue paper. She frequently pursued her work in company and lamented that ‘so few would attempt it’. 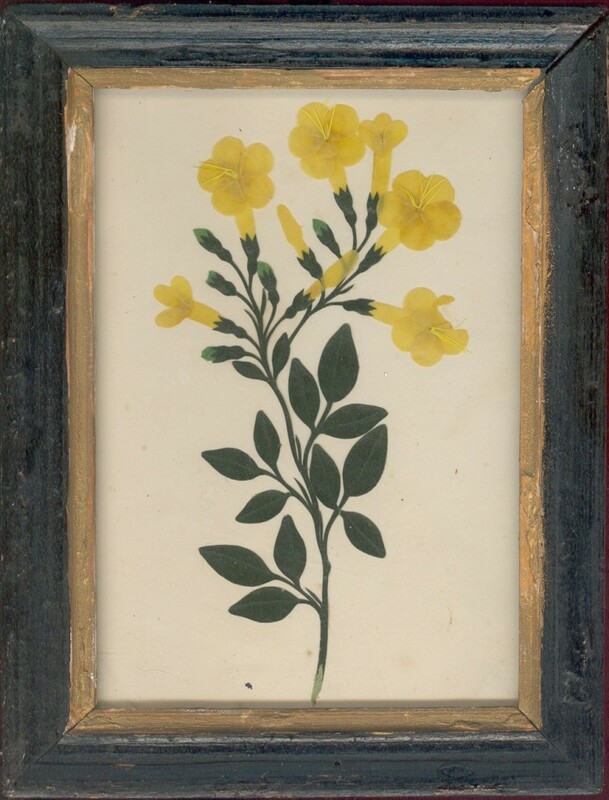 Failing eyesight obliged her to give up her occupation after ten years but by then she had filled ten albums of Flora which are now preserved in the British Museum in London. There is small loss to one of the petals but otherwise the paper cut is in fine condition. Frame: Period ebonied frame with a gilded border.